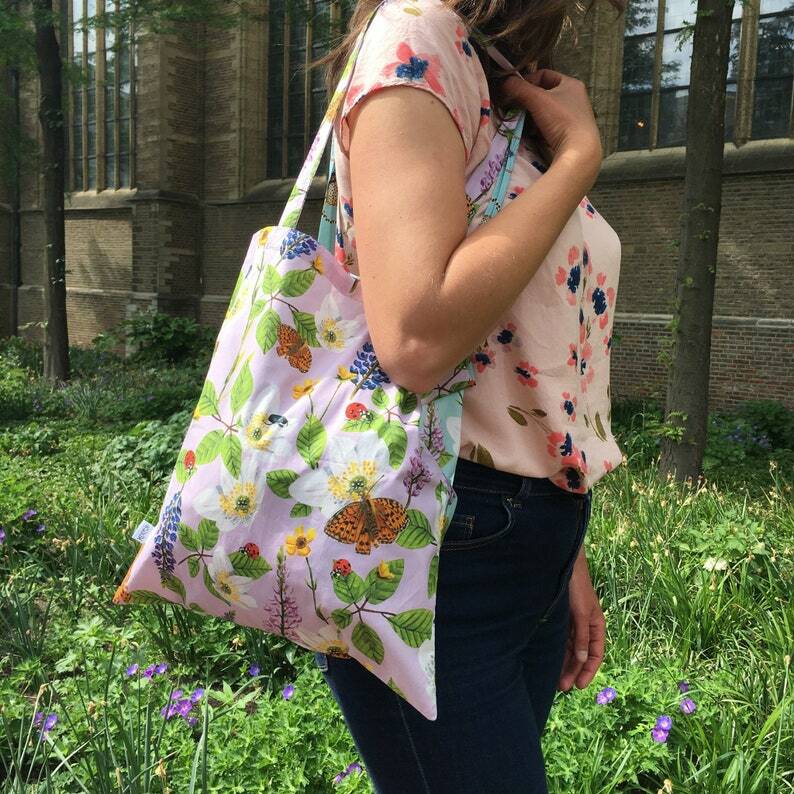 Cheerful, summery cotton shopper with Card from Koos print! Ideal to take with you during a day out, a message, summer picnic in the park or a day on the beach. This bag can also be folded very small, and take with you as an extra bag. There Is a lot to fit in! This Unique tote Bag has been conceived and made with great care and attention. They are handmade. The illustrations you see on the PCB are hand-painted by us. • The Shopper is made of a good quality 100% cotton. • The bag is pink on one side and blue on the other side.